The Organization Leadership Institute is offering a Leadership Certificate Program. In partnership with the McLean County Chamber of Commerce, the Organizational Leadership Institute at Illinois State University’s College of Business is bringing back the well-received Leadership Certificate Program. The series includes four in-depth sessions on the foundations of organizational leadership, building high performance organizations, applied organizational leadership, strategy development and implementation. The program ends with a fifth session featuring a panel review. Each session is facilitated by full-time faculty members from the College of Business. In each session, participants will learn through a mix of research and application of real-life skill that combine to make a unique learning experience. Participants will take back to their organizations courses of action and new perspectives as they showcase stronger leadership. Sessions occur in an all-day format (8 a.m.–4:30 p.m.) which allows participants to explore topics in-depth. Activities are highly interactive and include small breakouts, case studies, and opportunities to reflect. Dates will be September 8, September 22, October 6, and October 20 with a final session on November 10. The cost for Illinois State alumni is $750 and $875 for anyone else interested. This includes all sessions, meals, parking, and materials. Register online now as the program will close when full. 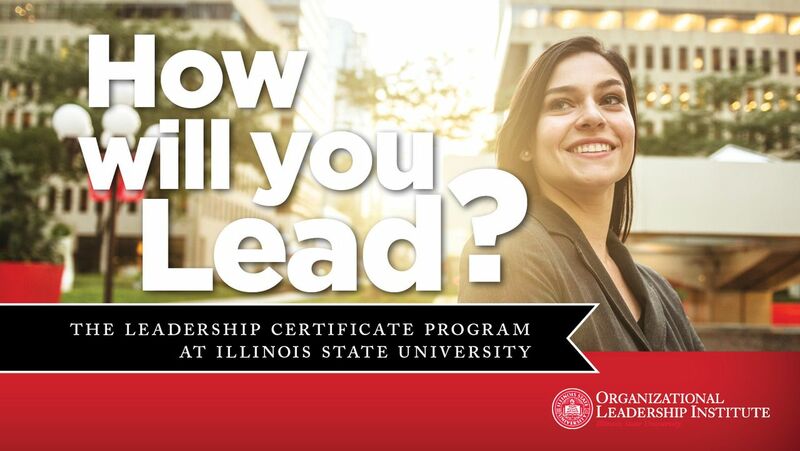 For any questions regarding the Leadership Program, email LeadershipInstitute@IllinoisState.edu or call (309) 438-3333.